Hera Hilmar (Da Vinci’s Demons) has landed the female lead role in Peter Jackson and Fran Walsh’s Mortal Engines, according to Variety. Th Icelandic actress recently wrapped production on The Ottoman Lieutenant opposite Josh Harnett and An Ordinary Man opposite Ben Kingsley. 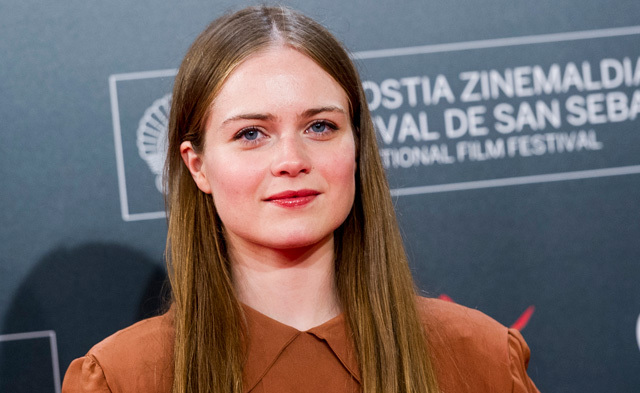 Hera Hilmar will join Robbie Sheehan (Fortitude, upcoming Geostorm) and Ronan Raftery (Fantastic Beasts and Where to Find Them, AMC’s upcoming The Terror) in the film. Sheehan will have a lead role, while Rafferty plays a supporting one. Production is scheduled to begin in New Zealand this spring for a theatrical release on December 14, 2018. MRC and Universal are co-financing the film. Universal will also serve as worldwide distributor. Peter Jackson and Fran Walsh (The Lord of the Rings and The Hobbit trilogies) are making the Mortal Engines movie, based on the award-winning book series of the same name from British author Philip Reeve. Jackson and Walsh have been involved with the project for several years, having optioned the rights from Scholastic. They have co-written the screenplay with collaborator Philippa Boyens (The Lord of the Rings and The Hobbit trilogies). Ken Kamins – Jackson, Walsh and Boyens’ longtime manager – brought the project to MRC. Christian Rivers is attached to direct Mortal Engines. Christian has spent the majority of his 25-year career working closely with Jackson, beginning as a Story Board Artist, later moving into supervising visual effects and finally serving as Splinter Unit Director on The Hobbit trilogies. Christian won an Academy Award for his work on the 2005 film, King Kong (Best Achievement in Visual Effects). He also recently served as second unit director on the remake of Pete’s Dragon. Mortal Engines is his first project as director. Zane Weiner (The Lord of the Rings and The Hobbit trilogies), Amanda Walker (The Hobbit) and Deborah Forte (The Golden Compass, Goosebumps) are serving as producers, along with Walsh and Jackson. Ken Kamins (The Hobbit trilogy, District 9, Jack Reacher) will executive produce. Philippa Boyens will co-produce. Published in 2001 by Scholastic, Reeve’s “Mortal Engines” books have won several prestigious awards including the Guardian Children’s Fiction Prize, the Los Angeles Times Book Award, the Smarties Gold Award and Blue Peter Book of the Year. Mortal Engines is set in a world many thousands of years in the future. Earth’s cities now roam the globe on huge wheels, devouring each other in a struggle for ever diminishing resources. On one of these massive Traction Cities, Tom Natsworthy has an unexpected encounter with a mysterious young woman from the Outlands who will change the course of his life forever.